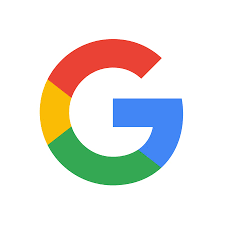 Big news out of Google | Boyle Software, Inc.
Last week Google quietly released a full-fledged destination site for hotels, just in time to book your spring break trip. This isn’t Google’s first entrance into the travel space, they have a flight search platform that has gained traction over the last few years. However; this latest announcement solidifies Google’s intent to overtake travel booking. Booking sites like Hotels.com and Airbnb are surely considering the implications this could have on the industry. And if there’s any doubt that Google knows exactly what threat they bring to their competition; is it a coincidence this release came the same day that Airbnb announced it’s acquisition of Hotel Tonight? Today, Google announced the upcoming 2019 release of a live-stream gaming service called Stadia. This service is gaming without the need for a box. Users can play on a tv, computer, phone or tablet with just access to a Chrome browser and an internet connection. Along with the service, Google announced a new controllerwhich features a sharing button, allowing players to capture video while playing . The controller also has a Google Assistant button, which could allow for some in game help or hands free commands. Reactions have been mixed so far, some gamers believe there are still a lot of questions to be answered – especially surrounding price. Stadia’s official release will be the true test, but regardless this is huge news out of Google today.